I started my job at the international school this week. It's been half term so it's been nice settling in without the thousands of kids there. Trying to learn the names and roles of the 400 staff has been a little tough though.. The school have several events per week; whether it be an Open Day, an Induction Day for the new families, hospitality drinks or dinners for alumni or parents etc... I'll be kept busy that's for sure! I've never really thought about or realised how great international schools are until now. Kids get incredible opportunities in sport, music, arts, languages and academics; in addition to being surrounded by other children and teachers from - in this case - over 60 different counties. The only downside is that it inevitably costs a small fortune to go there! After the intensity of starting a new job, the weekend could not have come quickly enough. 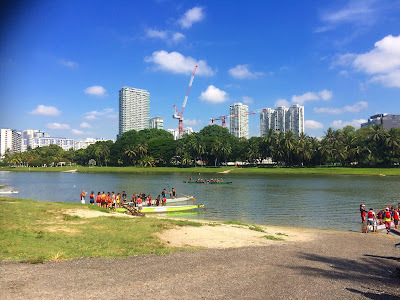 On Saturday, Phil, me and a couple of friends headed over to Kallang and spent a grueling but incredible two hours Dragon Boating with the Gaelic Dragons. 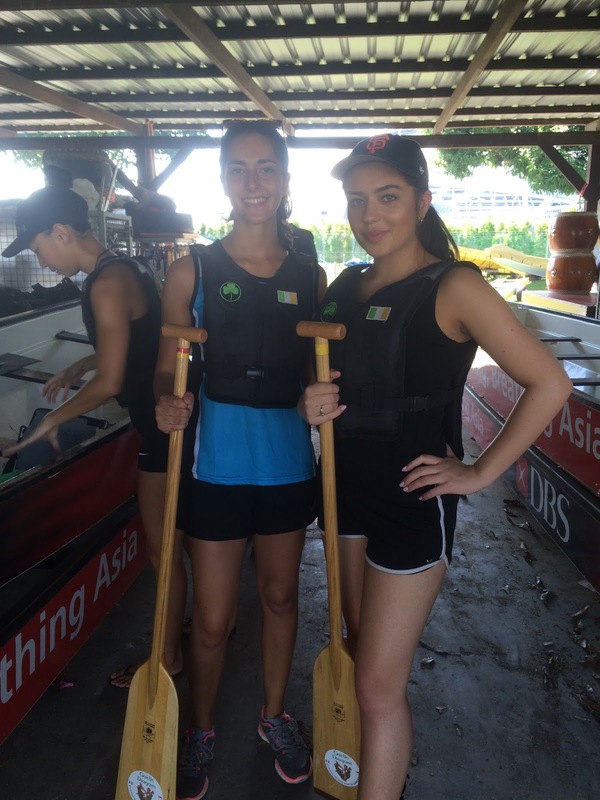 (If, like me a week ago, you don't know what Dragon Boating is, click HERE to see a video the Gaelics created. 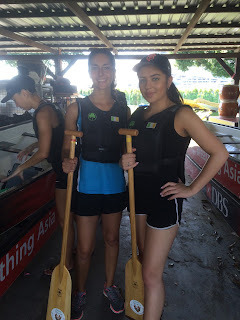 Dragon Boating is such a social thing to be involved in here as there are so many international teams: French, Spanish, British, German, Australian etc, and everyone comes together for parties, nights out and the odd race every month or so. 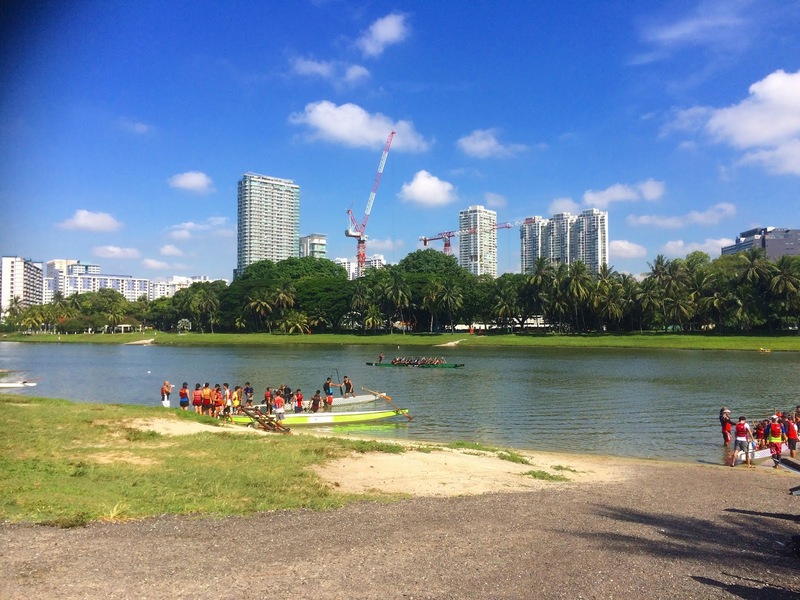 Water training is every Saturday and land training is mid-week - seems like a good way to get fit and have fun at the same time and can't wait for the next training session already.